I am officially in the holiday spirit now! The tree lighting here in the Harbor took place a little bit early for my taste but I have to admit that it did give me a nudge toward getting psyched up for the season. I will admit that I have been watching my Christmas shows on Hallmark and Lifetime since before Thanksgiving….don’t judge me. It’s going to be a fabulous holiday season. Being the co-publisher of the OTC has a few perks and one of the best is being invited to the Media Preview of ICE! and the opening of Christmas On the Potomac at the Gaylord National Resort. I look forward to this event each year almost as much as I do 4th of July fireworks. Part of the allure is the fact that since this isn’t open to the public, it lends itself to a nice sized crowd and not a “ton” of kids. I know, I know, it should be all about the children but sometimes you just want to enjoy things with “child-like” adults. 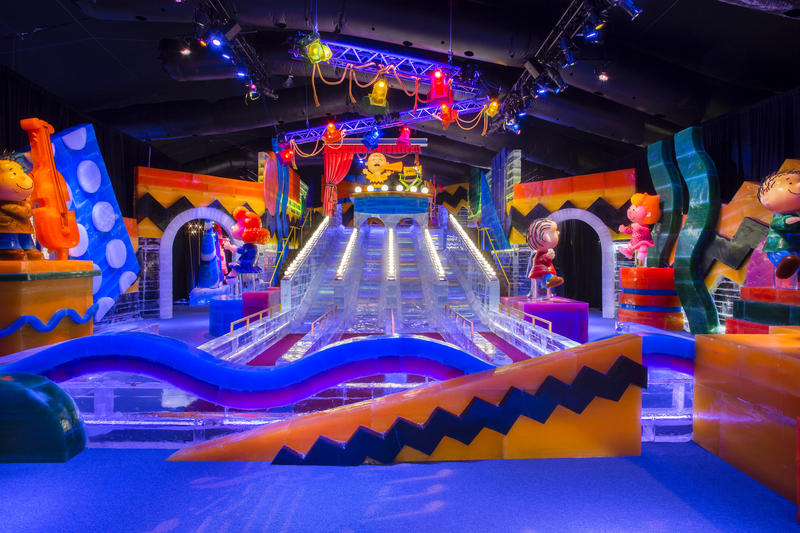 The resort’s signature holiday attraction, ICE!, returns for the 10th year to showcase the true meaning of Christmas with its rendition of the beloved classic story, A Charlie Brown Christmas by Charles Schulz. My favorite characters including Charlie Brown, Snoopy, Lucy, Linus and friends come to life in more than 2 million pounds of colorful, larger-than-life ice sculptures hand-carved by 35 artisans from Harbin, China. And…my very favorite ICE! feature – the ice slides! I really do get a thrill sliding down the two-story tall slide. I am probably one of the oldest, if not the oldest, participants at 65. As in years past the show culminates with the impressive, crystal clear ice sculpture of the Nativity scene. This year Linus’ famous soliloquy from the holiday classic accompanies the scene. If ICE! 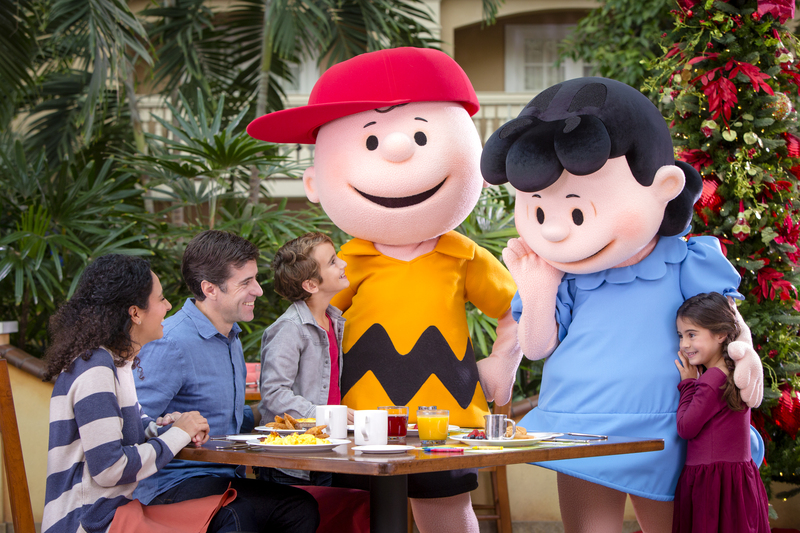 isn’t enough time with the Peanuts gang, visitors can experience a new Merry Snoopy Christmas Scavenger Hunt and enjoy an interactive character experience, Breakfast with Charlie Brown™ & Friends, that is sure to have the entire family bopping around. Enjoy a delicious buffet of morning favorites with Peanuts-themed dishes, such as Charlie Brown’s Build-Your-Own-French-Toast station with Snoopy’s Maple Syrup. The resort truly does turn into a Christmas wonderland during the season. Considering that there are over 2 million lights involved, both the exterior and the interior are a sight to behold. This is the third year for the Starlight – or Jetson as I refer to it – Christmas tree. It is a 55 foot tall structure suspended from the ceiling of the 19 story Atrium that is lit three times during the evening accompanied by a laser light and fountain show set to the tune of an array of holiday tunes. I can sit through all three lightings with my adult beverage at the Belvedere Lounge just off of the lobby. Oh, yeah, the nightly indoor snow fall ads to the ambiance. 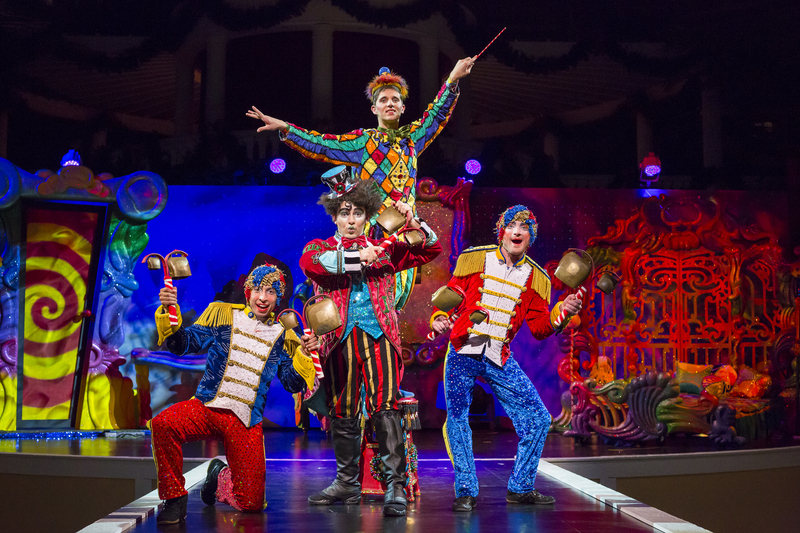 New this year, visitors can see a 25-minute Cirque Dreams Unwrapped show in the atrium. I will miss the song and dance production that they had last year but I am a Cirque fan so this is a good alternative. This is definitely worth watching just for the sheer talent of the performers and the spectacular costumes and set. Attendees enjoy acrobatic acts, aerialist performances and fun for the whole family performed by an international cast from seven countries. For guaranteed seating, tickets are available. See times in the Events listing in this section. The Christmas Village is back in full swing and the ice skating rink is back. There were several people on the ice when we were there this year. I’m going back to try it out. Been awhile since I’ve had skates on. The carousel and train ride, Cookies with Mrs. Claus, photos with Santa and a Gingerbread Decorating Corner and the Build-A-Bear Workshop are all back this year. There is a fee for these attractions but there are packages that can be purchased that will save you some change. There are several other events taking place at the Resort that will entertain the little ones and they are offering some fantastic Stay and Play room packages. Can’t think of a better present for the whole family than a night at this fabulous place during the holidays. 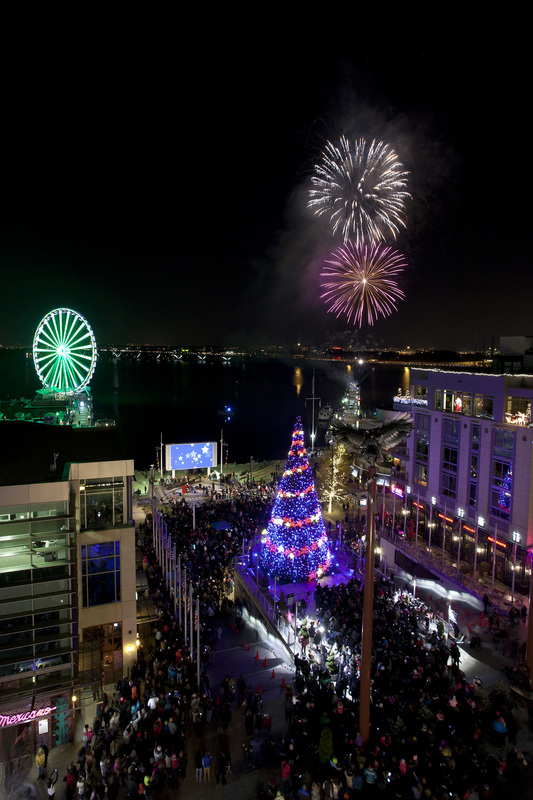 Outside of the Gaylord, the holiday celebration continues throughout the Harbor with the nightly lighting of the 56-foot tree that overlooks the Plaza. The lighting is accompanied by some very happening music at intervals throughtout the night. New this year are the fireworks that happen Saturdays at 5:30 pm through the 22nd. Other activities continue throughout the holidays but one of the best is the opportunity to meet Santa at either the Capital Wheel or the Carousel. The wheel is very impressive these days. They have a new “lighting” guru and it has been spectacular. Don’t forget to stop by the Flight Deck for a beverage before you board – they have some nice big fire pits going and some hot beverages to warm you up. 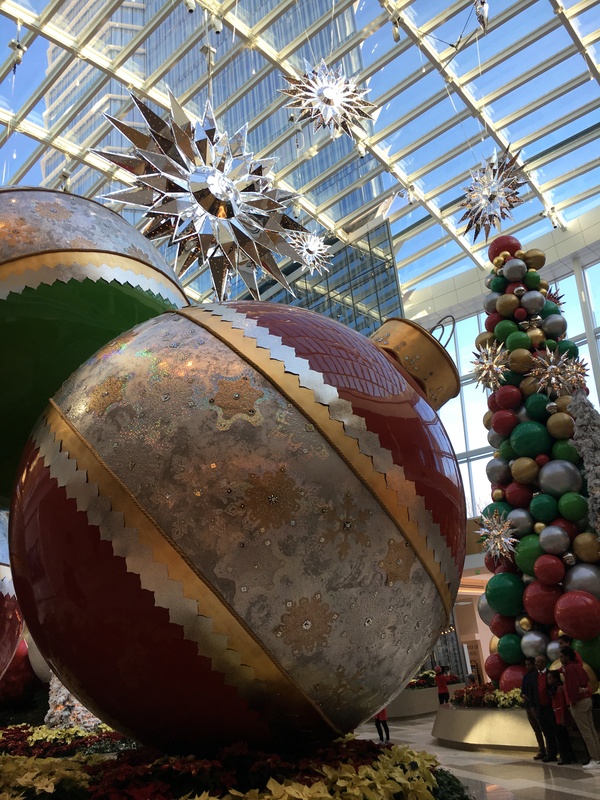 The MGM celebrates its two-year anniversary and the holiday season with spectacular decorations throughout the complex including the property’s popular Conservatory. The holidays truly come alive with this year’s fabulous theme. The display is two stories tall and has to be seen to be truly appreciated. The photos in this section don’t do it justice. It looks like the Cirque troupe that is performing in the Atrium at the Gaylord is part of a larger production, Cirque Dreams Holidaze, that will take place in the Theater at the MGM from December 20th -23rd. I’m looking forward to checking it out. I love events in small venues and every Cirque production I have been to makes you feel like you are part of the show. The Harbor is the perfect location to enjoy a wide array of holiday activities and events in close proximity to Old Town Alexandria and Christmas at Mount Vernon as well as the holiday events at The Wharf on the waterfront in D.C.—all of these are just a short drive from the Harbor. My preference is the water taxi if you have the time. No need to worry about parking (other than where you get on) and you can experience each destination in one day if you really do some planning. The water taxis run between all of these destinations until New Year’s Day. Here’s wishing you a very Merry Christmas, Happy Hanukkah, Happy Kwanzaa or whatever else any of you readers may celebrate! Let’s make this a very happy holiday season!